Through the annals of human history, a Monarch represents a leader which obtained their position through either inheritance – or by conquest. The Cabot Monarch 1911 supersedes both. Steeped in the tradition of a Cabot Guns’ precision-obsessed birthright, the Monarch represents an unparalleled subjugation of excellence; taking its rightful command simply by being the best at what it is. It too rings testament that some of the finest products in the world are still being made here in America, by Americans, using American sourced materials. 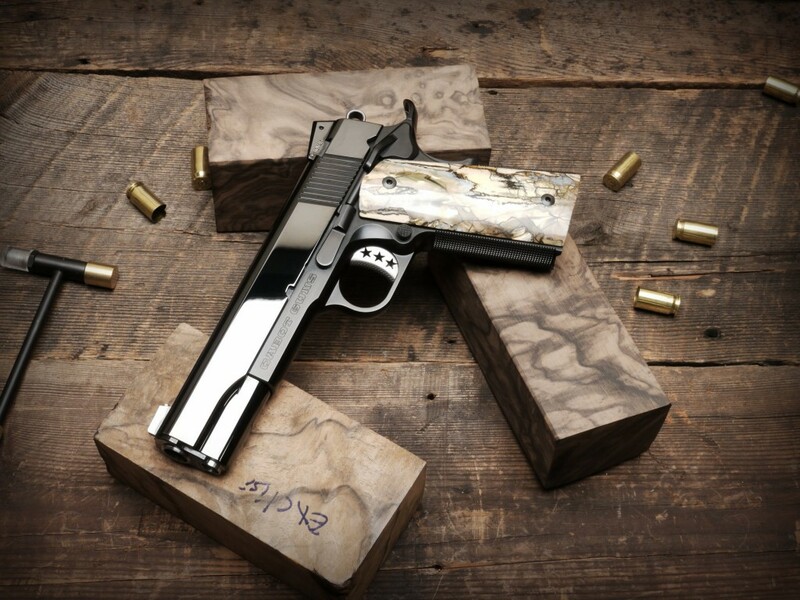 The Monarch 1911 is a commanding assertion of the success of Cabot Guns. It is the accomplished leader standing afield, looking out upon those who gaze back in a magnificent awe. Combining the elements of design, fit, and finish, Cabot is pleased to now offer a second edition limited run of 10 units. The Monarch, regal to be sure, exceeds heirloom quality and presents to those who behold it simplicity and elegance as pillars of a timeless design. Featuring Cabot’s highest standard of precision in design and construction, the Monarch is a full Clone Technology pistol. Each component perfected to hair-splitting tolerances that seamlessly fit together like a Swiss watch. This creates a cyclic action best described as the slide seemingly riding upon roller bearings as it charges into battery. The upper of the pistol features a smoked mirror finish possible only through tireless hours of expertly applied hand polish and is elevated in beauty and depth by the contrasting lower. Simple, clean and elegant lines define the concept behind the Monarch. Timeless not just in implementation, each Monarch 1911 is adorned with ancient mammoth ivory grips, the scales personally selected by each owner from our private reserve of precious materials. 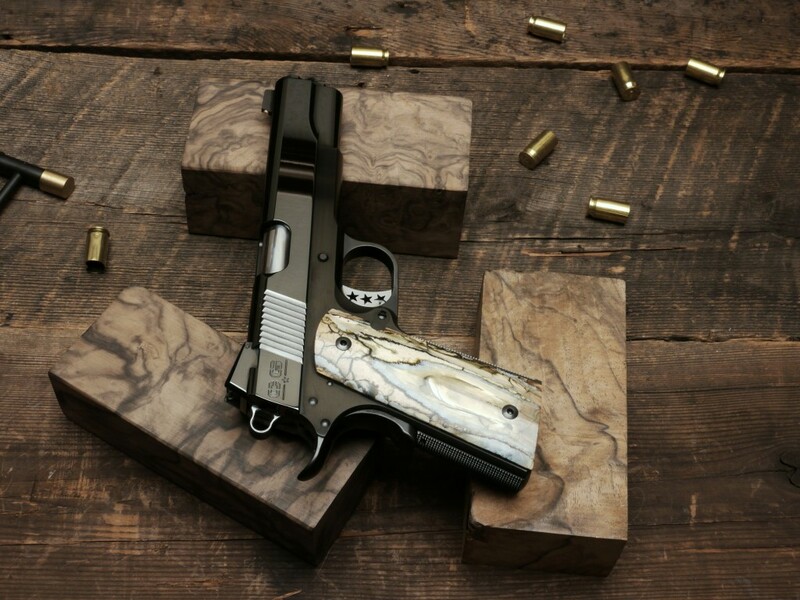 The Cabot Monarch 1911 is one-of-a-kind, as such truly reflective of its individual owner.